Jan 23, 2017 – Trump Executive Order: What does it change? The Obama administration announced today that it will extend the deadline for the implementation of the health care mandate for medium sized businesses to 2016. Employers with 50 – 99 workers are given a two year reprieve on offering health care to their full-time employees. Requirements for companies with 100 or more workers are reduced by 25%. Larger employer (over 100 employees) are also seeing their requirement to offer health care to their full-time employees reduced from 95% to 70%. The administration claims that stratifying the two phase-ins for businesses across America will ease the financial and administrative burdens for employers who have not offered health insurance benefits in the past. The move today was well received by the majority of the business community. Most believe the postponements will allow employers additional time to understand the applicable rulings that will affect their businesses. WASHINGTON (Reuters) – The Obama administration is delaying enforcement of a provision of the new healthcare law that prohibits employers from providing better health benefits to top executives than to other employees, the New York Times reported on Saturday. Tax officials said they would not enforce the provision this year because they had yet to issue regulations for employers to follow, according to the Times. Internal Revenue Service spokesman Bruce Friedland said employers would not have to comply until the agency issued regulations or other guidance, the newspaper reported. The IRS was not immediately available to confirm the Times story. The rollout of the Affordable Care Act, known as Obamacare, has been marked by a number of delays in implementing certain parts of the law. In November, the administration announced a one-year delay in online insurance enrollment for small businesses. Technical problems with the enrollment website plagued its launch on October 1, but they have largely been fixed and more than 2 million people have signed up for private insurance. The White House hopes to have 7 million people sign up by March 31, the deadline for coverage under Obamacare. The law, adopted in 2010, says employer-sponsored health plans must not discriminate “in favor of highly compensated individuals” with respect to either eligibility or benefits. IRS officials said they were wrestling with complicated questions like how to measure the value of employee health benefits, how to define “highly compensated” and what exactly constitutes discrimination, the Times reported. The ban on discriminatory health benefits was to take effect in 2010. Administration officials said then that they needed more time to develop rules and that the rules would be issued well before this month, when other major provisions of the law took effect. A similar ban on discrimination, adopted more than 30 years ago, already applies to employers that serve as their own insurers. The new law extends that policy to employers that buy insurance from commercial carriers. LOS ANGELES, Calif. — Covered California™ today officially launched the full self-enrollment function of the Small Business Health Options (SHOP) online marketplace. 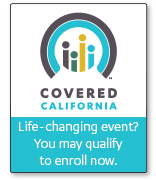 This significant new function on the Covered California website will enable small businesses to fully enroll for coverage that may begin as early as Jan. 1, 2014. SHOP is a second marketplace—separate from the one for individuals—and is designed to give employers and their employees more options for health coverage. Using this marketplace, small-business owners can shop for health insurance in ways that offer convenience and choice, which is comparable to how large companies shop for employee health insurance today. “We have seen employers do more cost-shifting, if you will, for an employee to pay a higher portion of the cost of dependent and spouse coverage,” said Tracy Watts, U.S. health-care reform leader at Mercer, a benefits consulting unit of Marsh & McLennan Cos. Towers Watson & Co., a benefits consulting firm, figures that about half of the usual opt-outs will sign up for next year—meaning an enrollment increase of about 7% or 8%, and a corresponding increase in costs of about 5%. Haverty Furniture, an Atlanta-based retail furniture chain with stores in 17 Southern and Midwestern states, expects health-care costs to rise by about $2 million, or 20%, next year. Gannett Co., which owns more than 80 newspapers and 23 television stations, expects one factor in its increased health costs to be the addition of more employees to its insurance plans due to the ACA rules, according to a person familiar with the company’s projections. United Parcel Service Inc. made headlines in August when it said that it would bar spouses from its nonunion health plan if they could get coverage at their own jobs. The company said it expected to see an increase in its health-care costs in part from adding employees to its plan who currently opt out. About 6% of employers ban coverage for spouses who can get it elsewhere, and another 6% impose an explicit surcharge for covering a spouse, according to Mercer. American Electric Power Co., for example, began imposing a $50 monthly surcharge this year to cover spouses with access to insurance at their own workplace. AEP said 92% of its employees usually sign up for coverage, so it doesn’t expect a surge of new enrollment. Trucking and logistics company Ryder System Inc. has replaced one of its two insurance options with one such high-deductible plan. Ryder is encouraging employees to choose the new option in part by raising the cost of more traditional coverage. Extending the deadline for enrollment for coverage taking effect on Jan. 1, 2014, from Dec. 15, 2013, to Dec. 23, 2013, and extending the deadline for payments due from Dec. 26, 2013, to Jan. 5, 2014. Establishing a telephone hotline for consumers to resolve enrollment questions. The hotline, (855) 857-0445, will be available beginning Monday, Nov. 25. Sending information directly to nearly 1.13 million affected individuals that provides clear options for coverage. The information will be sent from Covered California and the individual’s current insurance provider. Collecting and reporting data, on a regular basis, showing the impacts of conversion for individuals. Engaging consumers in their communities through the thousands of Certified Insurance Agents, Certified Enrollment Counselors and Certified Educators now deployed statewide. Employers are continuing looking for solutions that help manage there businesses more efficiently and also navigate the provisions of the Affordable Care Act (ACA). If it make sense, employers should consider looking at alternative funding options – like Self Funding or Level Premium programs. For those of you looking at these options, below are the provisions that do and don’t apply. Interested in learning more? Please contact us at 916-932-2864 – as we are happy to help. Health Care Reform (ACA) has so many provisions to be aware of that it can be downright overwhelming. Here are the top three, often overlooked, strategies to help your company get ready for the changes to come. Determine who is eligible for the marketplace subsidy. Unless you pay for 100 percent of your employees’ premium, you have the possibility of a backlash from your staff. Here’s how it works: If their income is 400 percent or less of federal poverty levels, they are eligible for a federal subsidy to offset their premium and sometimes co-pay expenses (this could make the marketplace plan less expensive than your employers’ group health plan). If you are providing affordable coverage for your employees this means they end up missing out on their subsidy. This step may take additional footwork as you will need to find out what their household income is. You can accomplish this through a simple survey, though you’ll want to make sure it is HIPAA compliant to protect their information. Review all your options. Purchasing health insurance is a completely different process now. Self-funding options are now available for smaller groups. New products and financing options are surfacing that mimic group insurance but are individual products, taking the perceived risk of self-funding out of the picture. Evaluate your compliance. Certain mandates will automatically be dealt with or are already put in place, such as essential benefits, dependent coverage and lifetime limits. Others are set at the company policy level and many will need to be updated to stay in compliance. In particular, note what your waiting period is (must be less than 90 calendar days from the date of eligibility) and how many hours worked are needed to be eligible for coverage (30 hours will be the new federal full-time standard on Jan. 1, 2015). If you have seasonal or part-time employees, you’ll want to spend extra effort managing the hours they work so eligibility doesn’t catch you unaware. Payroll services are adapting their products to assist business owners with tracking the hours of part-time and seasonal employees. Certainly there is a lot more to consider and know regarding the compliance, management, administration and strategy of health care reform. Unless you’re a large company with dedicated benefit professionals, you probably don’t have the staff or the time to dedicate to these new regulations. Lean on Innovative Broker Services by calling at 916-932-2864 for guidance on other strategies you can use as you prepare for 2014 and beyond. Why do we still have COBRA? With the advent of the health marketplaces, why do we still have COBRA? The framers of PPACA decided that COBRA should be available even after the health marketplaces become available primarily to avoid possible disruptions in care. They felt that COBRA beneficiaries, many of whom have significant health conditions, should be allowed to stay with their current health care providers if they chose to. With reports of narrow networks in some of the marketplaces, this concern has some basis. The marketplaces will not offer ancillary benefits, so some individuals will elect COBRA to have access to continued dental or vision coverage. Individuals anticipating a short period before new group coverage becomes effective also may choose to elect COBRA as a simpler bridge than moving into and out of the marketplace. However, most experts believe that most COBRA-eligible individuals will decline COBRA and elect coverage through the marketplace instead. Due to the premium subsidies, marketplace coverage may be less expensive than COBRA; it also does not have a maximum coverage period like COBRA does. As COBRA beneficiaries tend to have claims that exceed premiums, employers will benefit from a migration of this population to marketplace coverage. It appears that the marketplaces will basically follow the HIPAA special enrolment rules. This means that if a person elects COBRA they will need to complete the maximum COBRA period in order to enroll in the marketplace outside of open enrollment. Employers will need to provide the general COBRA notice to newly eligible individuals even after January 1, 2014. The Department of Labor has provided an updated model COBRA election notice (at COBRA Continuation Coverage) that mentions the marketplace that will need to be given following a qualifying event. It is unclear when employers must switch to the new notice; since the marketplace coverage will not begin until January 2014 to avoid confusion waiting to move to the new notice until this December may be the best option.